Attila Faravelli lives and works in Milano (Italy). In his practice he explores the relationship between sound, space and body. His solo music is released by Die Schachtel and Senufo Editions, in duo with Andrea Belfi (Tumble) he released on Die Schachtel, on Boring Machines with Nicola Ratti and on Presto!? with the artist Nicola Martini. Together with Enrico Malatesta and Nicola Ratti he is founder of the sound performance trio ~Tilde. He presented his work in Europe, USA, China and South Korea. In 2010 he participated in the 12th International Biennial of Architecture in Venice. Since 2011 he curates The Lift, a series of experimental music concerts. 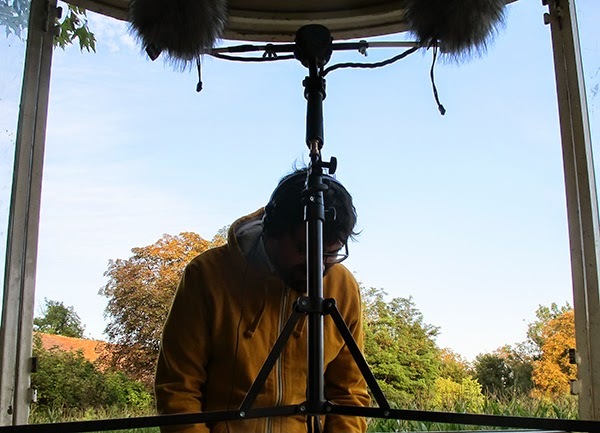 He is founder and curator for the Aural Tools project, a series of simple objects to document the material and conceptual processes of specific musicians’ sound production practice. Aural Tools are acoustic devices for relating sound to space, the listener, and the body in ways unavailable through traditional recorded media such as CDs or LPs. During his residency Attila Faravelli performed Phonographic Set (2012-2015) within the 62nd edition of Wonderwerp on the 28th of May. He also offered a workshop on sound objects as artist multiples on the 23rd of May. The results of this workshop were presented during Hoogtij #41 on the 29th of May at Studio Loos.